1. It’s the perfect way for you and your peers to bond and have fun. One of the most important advantages to Gatlinburg football and joining a league is your ability to get tons of fun and enjoyment out of playing the sport. Not only is it great to do something you find fun and entertaining, but you also get to enjoy the time with friends and make new ones as well. 2. You get all of the perks of the contact sport without the contact. Flag football is the exact same concept as regular American football, but without the ability to have physical contact. In order to “tackle” a player you simple pull the player’s flag attached to their body. At Rocky Top Sports World we want you to have the ability to enjoy yourself actively without getting an injury related to contact, which is one of the best perks to flag football. 3. Gatlinburg football will help keep you in good physical condition. Sometimes we can get so caught up in our daily activities that we forget to show our individual bodies the attention they need to stay healthy. Playing football in a league at Rocky Top Sports World can help you keep your body in shape while you are having fun at the same time. While playing you will be blasting away calories, toning and expanding your muscles and trimming away fat, which all contribute to a healthier you. 4. It is great for physical interaction with others for a sense of belonging. In today’s world interpersonal communication is beginning to lack, and technology is becoming the go-to method for communicating. With technology consuming the workplace the home environment and many other aspects of our lives, there isn’t much opportunity for face-to-face interaction. However, when you choose to play in a football league or any other sporting league, you will get to interact with others and be a part of something that is bigger than just yourself. 5. Your mental health, self-esteem and mood will be positively affected. Being surrounded by a group of teammates for support can add to your sense of mental well-being alone without considering the other ways Gatlinburg football can help you mentally. 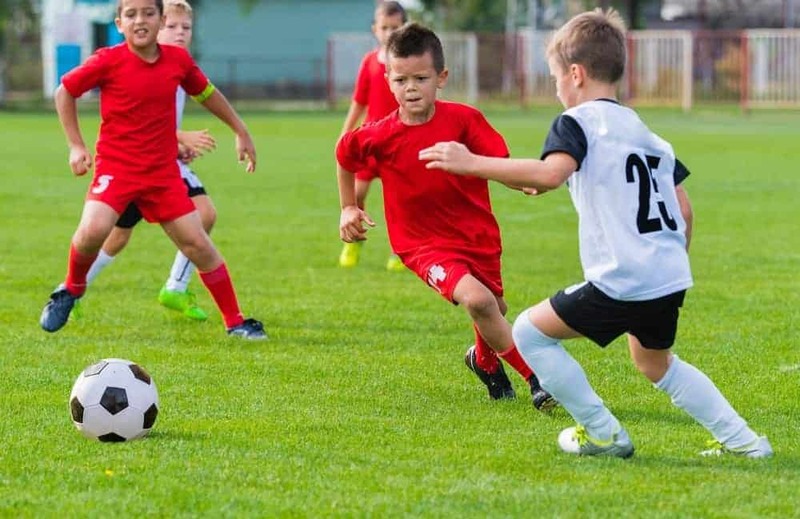 Studies have shown that completing a game of football can give you a sense of accomplishment by contributing to your value of personal self-worth. Not only that, but also if you win the game against an opponent, there are also significant positive effects on your mood and self-esteem as well. What makes it even better is that losing a game has no proven negative effects to one mentally, which means as long as you are playing, you are gaining something positive. Register your team for one of our Gatlinburg football leagues or events today, and start receiving these life-changing advantages! This entry was posted in Gatlinburg Sports Events on August 29, 2015 by rockytopsports.